Recolor, adjust, edit and create the perfect photo content by using the groundbreaking photo retouching, recoloring and editing features of New Color. Give your photos the perfect color enhancement without struggling with needless complexity. 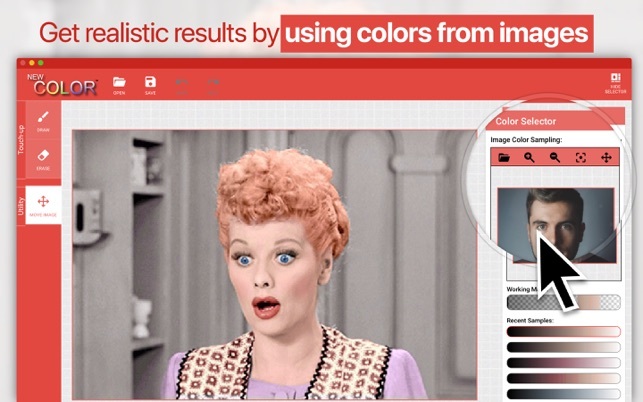 Imagine flawless and super-easy photo retouching and recoloring with a few clicks of your mouse. That’s how New Color feels! It gives you photo edit features to replace every color in your image and add a vibrant new look to your favorite color or black and white photo. From adding colors to black and white photos to changing shirt or even eye colors, there are so many different uses of New Color. 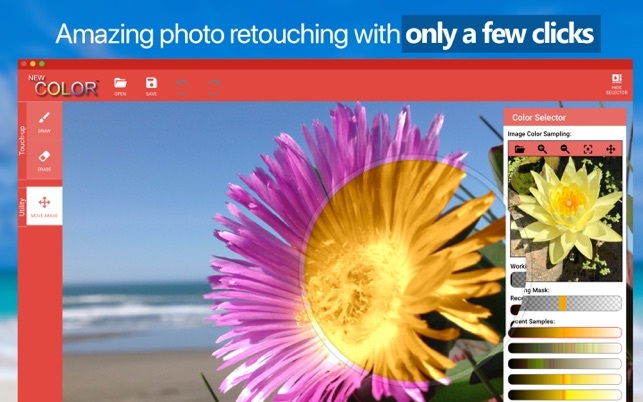 Literally, any photo can be retouched and recolored in seconds with its own flair and charm. Our intuitive UI and powerful editing and photo retouching features are easy to use and with our in-app tutorial, you can quickly become a photo retouching and recoloring master! 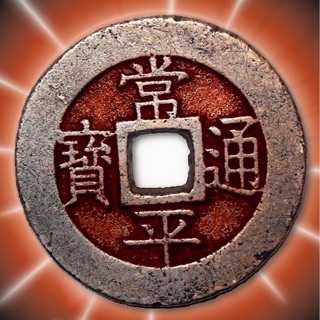 - Complete In-app video tutorial that covers everything you need to be productive. - Our comprehensive editor makes it easy to create, update or delete the colors you've added. 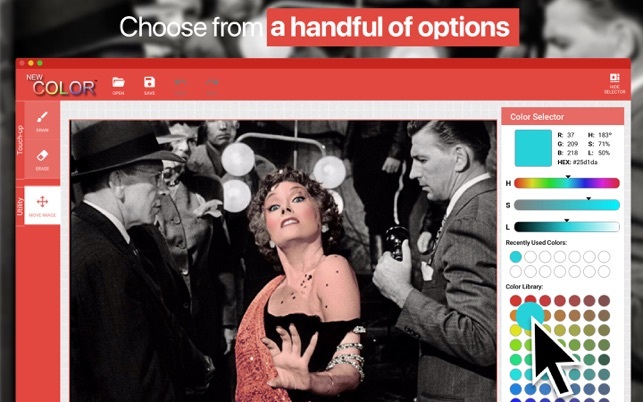 - Preset colors and interactive color selectors make choosing your intended colors a snap. - Importing color samples from other photographs, makes it easy to use complex true to life colors on your image. - In photo storage, allows a photo created on one device to be continued on another. Did we mention that the photo retouching and recoloring is super smooth and fast? Now it’s the time to make every photo from normal to amazing. 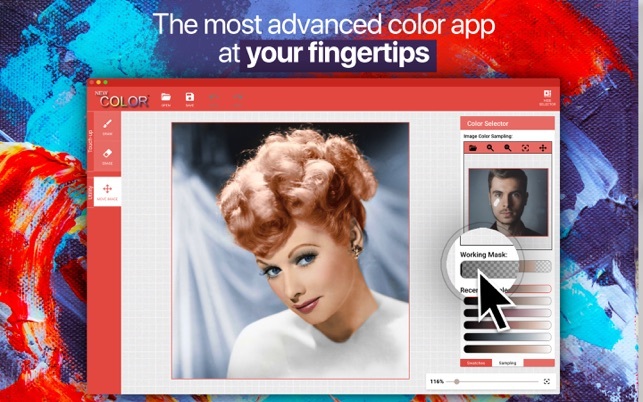 Download our original photo editor and recolor tool and Join the "New Color" revolution.